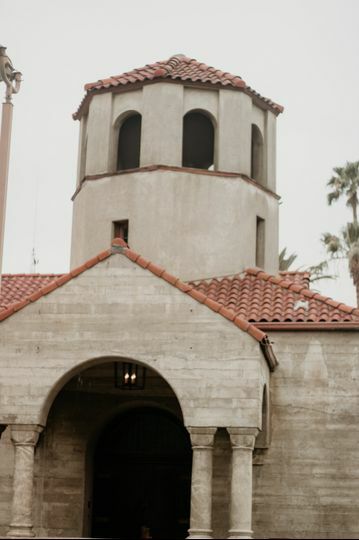 Thee Old Chapel is a non-denominational chapel perfect for wedding ceremonies and celebrations in Riverside, California. Originally built in 1962, this historic venue is one of a kind. 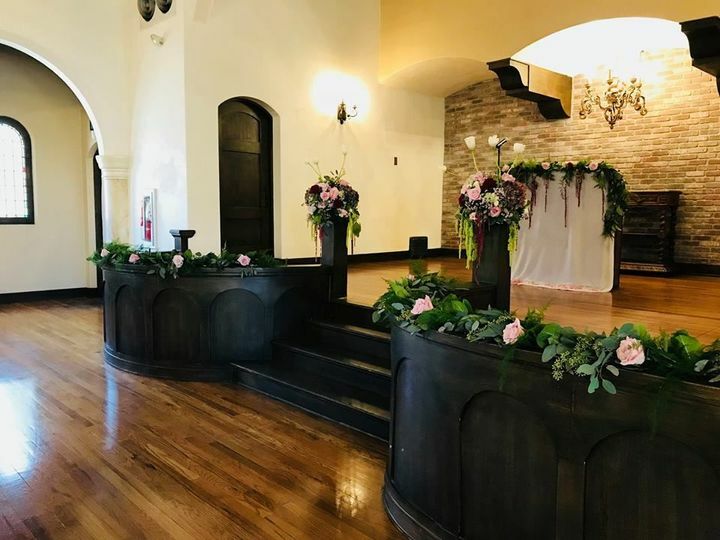 Featuring stunning hardwood floors, exposed beams and mission-style Spanish architecture, the atmosphere at Thee Old Chapel is sure to captivate each and every guest that walks through its doors. 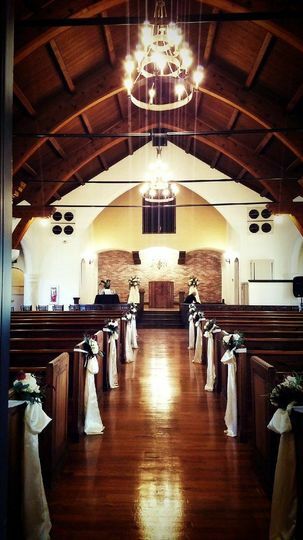 The main room at Thee Old Chapel has a maximum capacity of 300 wedding guests. 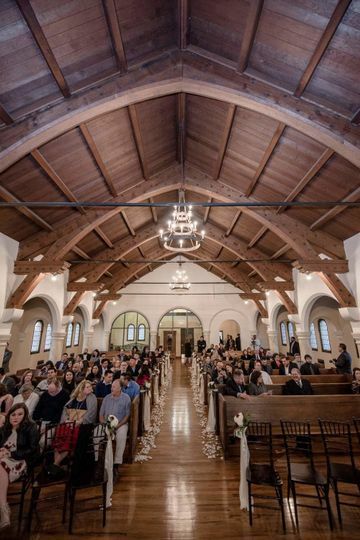 The venue’s high-beamed vaulted ceilings and hand-carved pews add an enchanting romance to the atmosphere. With tall, white walls and dramatic chandeliers, the room is designed to feel open and inviting. 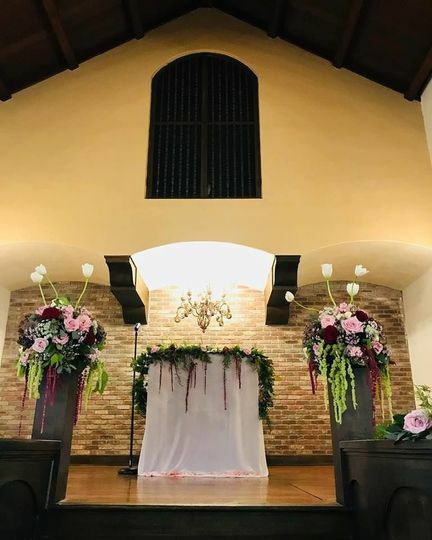 Your guests will be drawn in by the rich history and architecture this venue has to offer as you day “I do” in front of the backdrop of charming exposed brick. 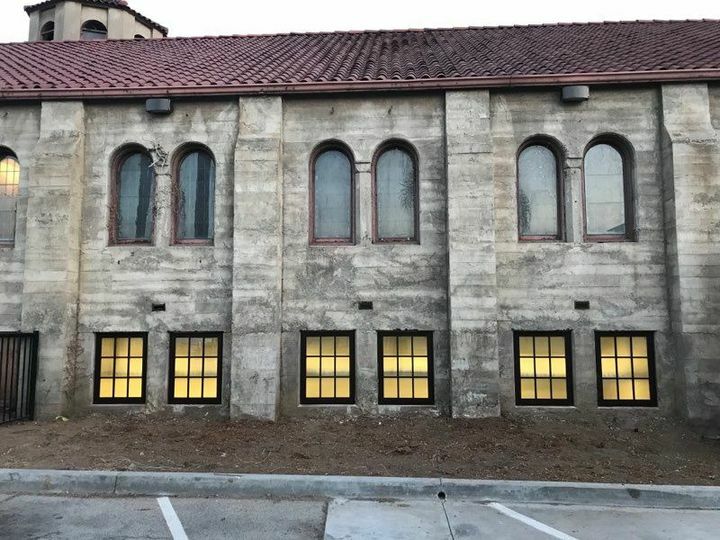 Thee Old Chapel is conveniently located just an hour and 15 minutes from the heart of Los Angeles, California. 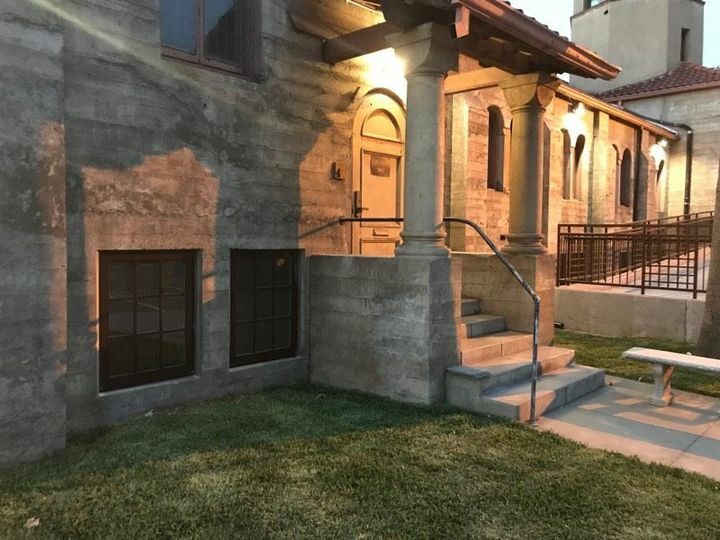 With this incredible location, your guests will have convenient access to all of the attractions, restaurants and activities that Los Angeles has to offer. 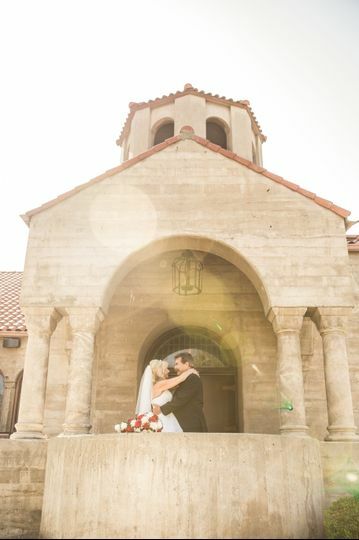 Inquire about Thee Old Chapel today to reserve your wedding date! Thee Olde Chapel is a beautiful historic building that does not need much decor. 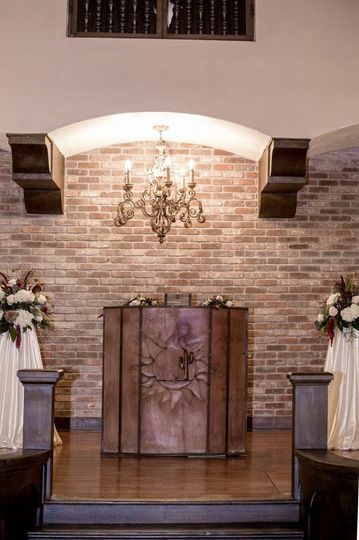 The chapel comes with your very own ceremony planner. We worked with Shannon. She was a delight from the beginning to end. She was very responsive (she even emailed me while on vacation!). She went out her way to make sure things ran smoothly and to my liking. She was flexible with my arrival time and needs. The only down side to this venue is the parking directly next to the church is very limited. However, there is overflow parking at the building behind the chapel. Just be sure to clearly communicate this with guest because we all know they do not all read the information section of the invitation :). Definitely recommend!